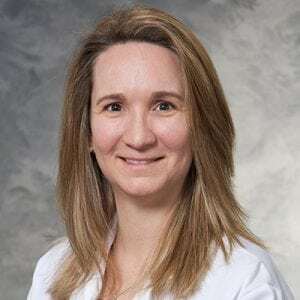 Jennifer is a physician assistant in the Department of Surgery, Division of Trauma and Acute Care General Surgery at the University of Wisconsin School of Medicine and Public Health. She completed her Bachelors of Science in Physician Assistant Studies at the Medical College of Georgia – School of Medicine and Public Health. She completed her surgical residency through the Norwalk Yale Surgical Residency Program in New Haven, CT.
Jennifer is certified by the National Commission on Certification of Physician Assistants with certifications of additional qualification in Advanced Trauma Life Support (ATLS), Advanced Cardiovascular Life Support (ACLS) and Pediatric Advanced Life Support (PALS). She is primarily interested in acute general surgery, wound care, minor procedures, nutrition, pain management, cardiology and surgical critical care.